New York-headquartered shared real estate company WeWork is set to launch a startup accelerator program in northern Israeli port city Haifa as part of the company's global accelerator program, WeWork Labs. Roee Adler, a senior vice president at WeWork and the head of WeWork Labs, announced the upcoming Haifa program in an interview with Calcalist earlier this week. This is the second WeWork Labs program in Israel. The company launched Labs in Tel Aviv in June. The Haifa program, Adler said, will support 40 startups, including companies who are members of the Haifa-based technology hub and accelerator theDOCK (listed as The Dock Innovation Hub), which is focused on maritime and port-related startups. Haifa is regarded as one of Israel’s biggest tech hubs, with companies including IBM and Amazon operating offices in town. WeWork Labs promotes early-stage entrepreneurs through courses, mentorship, and collaborations with other startup incubators and accelerators. First launched in 2011, the program has taken a backseat to WeWork’s other entrepreneurial initiatives over the years. In early 2018, WeWork announced it was revamping the program. In a February post to his Facebook page, Adler said the program will be relaunched and scaled globally, with hubs opening in Brazil, India, Korea, China, Israel, and in several cities in the U.S.
“We believe in Haifa and think we can build a successful ecosystem here,” Adler told Calcalist. “We are coming over with everything we have and will bring anyone who can help young startups in the city,” he said, adding that Haifa offers many advantages to entrepreneurs, from proximity to the Technion-Israel Institute of Technology to local research and development activity of international companies. According to the company, there are currently 24 WeWork Labs hubs supporting more than 1,000 startups in 14 cities and nine countries worldwide. By the end of this year, WeWork intends to operate 30 such programs. 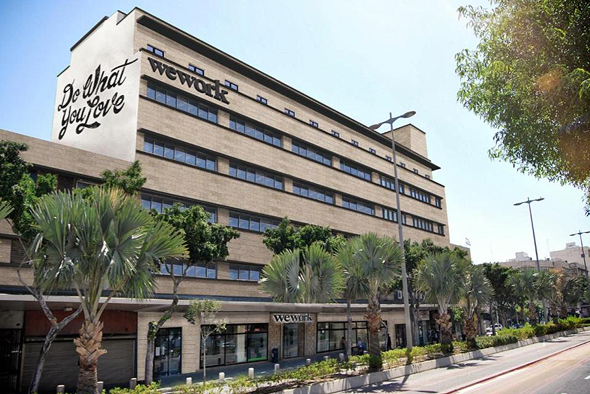 WeWork opened its first shared office space in Haifa in August. Located in the city’s downtown area, the new space is set to host up to 600 members. The Haifa location is WeWork’s first in northern Israel. WeWork also operates five office spaces in Tel Aviv, one office in Jerusalem, one office in central Israel city Herzliya, and one office in southern city Beer Sheva. The company reports nearly 5,000 members in Israel and more than 250,000 members in 283 locations in 75 cities worldwide.